Once a month, we host a friendship lunch for the retired. 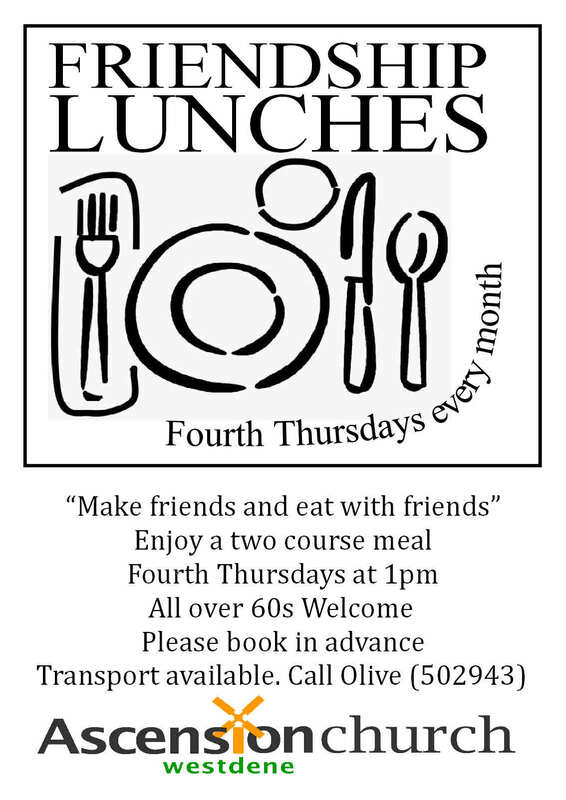 It is a two course meal with tea/coffee for £4 on the fourth Thursday of the month. The meal starts at 1pm and lasts to about 2.15pm. Everyone is welcome. Please contact Olive first to book your meal and order transport if you need it. See contact details below.